My heart has been heavy this week. I thought the goblins and ghouls that sneak into my thoughts more easily near the full moon were poking me into this ‘hot loneliness’. Then, at the Chill and Still yoga class, I quieted down enough to understand it was Mother Loss, awakened by Mother’s Day. June marks fourteen years since my mother passed on to her next realm. I had not been thinking about her, which is why I missed the deeper source of my grief and malaise. Instead, my thoughts had been on two friends and mothers who passed away within months of my father’s death in 1996. 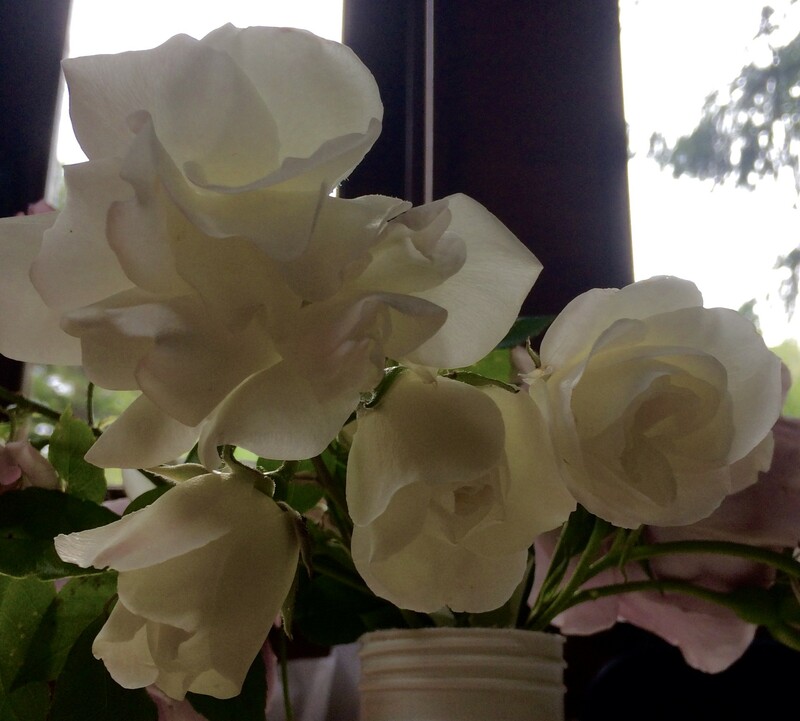 This remembrance was sparked by seeing two rose bushes I planted, one for each, in full bloom. 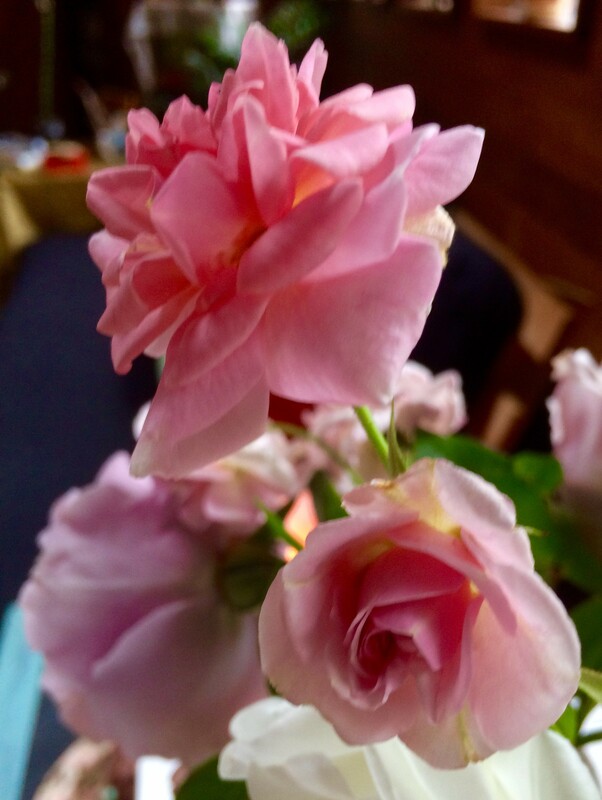 I carefully cut some sprigs to mix in a bouquet — honoring them and mi Mamy Isabel, who doted on her rosas. An honorable human relationship – that is, one in which two people have the right to use the word ‘love’ — is a process, delicate, violent, often terrifying to both persons involved, a process of refining the truths they can tell each other. It is important to do this because it breaks down human self-delusion and isolation. It is important to do this because in so doing we do justice to our own complexity. It is important to do this because we can count on so few people to go that hard way with us. These words she gifted me have set a high bar in my life and I don’t regret that. I am even more honored she read these words and thought of me. It gave value to a word used too easily and with no thought of its amazing power. Love is a verb and this quote has reminded me of that through the years thanks to Meg. She is nodding quietly at this, a slight smile playing on her face. She was one of very few white friends over the years who did not decide one day, with no dialogue or clear explanation, to unfriend me before that became a thing on FaceBook. She went that hard way with me. Willa was a force of power and grace who I met at Alameda County Child Protective Services. Her nails were long and her heart was as wide as the Pacific Ocean. After losing her first husband, she had found love again and her son joined an older daughter. Willa died because of the elitism system of health care when the Richmond Kaiser “standby” emergency room was not equipped to deal with her life-threatening illness, a classic case of structural racism. This poem emerged while in my MFA program. These three mothers made an indelible mark on my soul and on my mothering. 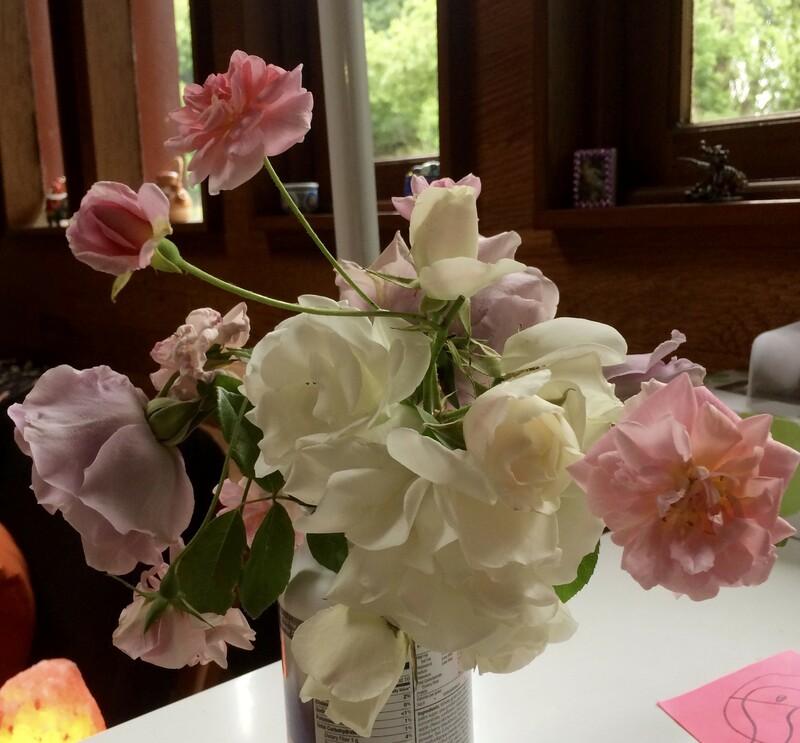 My mother never used the word ‘love’, but that did not stop me from learning what I could from how she tended her garden and embracing love, amor, y cariño in my mothering. I take no day for granted with my twins, and am committed to doing justice to the complexity of motherhood.